An aromatic blend of Wildgrown rosemary, oregano, basil, parsley, marjoram, thyme and lavender. 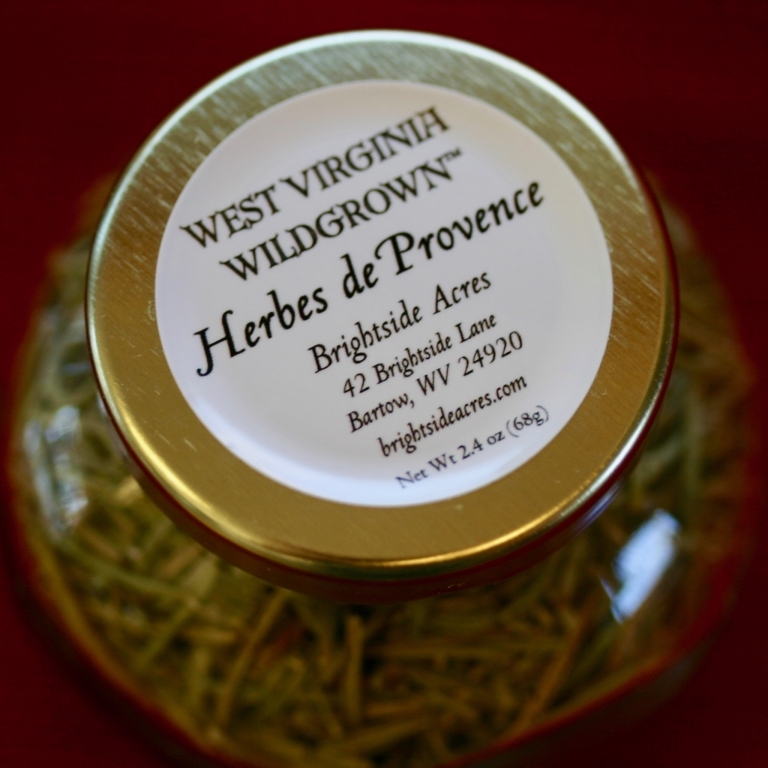 You don’t have to travel to France to experience the rich aroma and flavor of Provencal herbs, grown right here in Pocahontas County, WV. Divine on grilled or roasted fish, chicken, pork and beef. Makes pastas, salads, soups and stews come alive! Cooks everywhere appreciate the fresh, rich flavor only available from Brightside Acres Wildgrown herbs. Dried and packaged in a 4 oz glass jar.